Isner beat Auger-Aliassime in two tiebreakers with 20 aces. The American has won in the tie-break nine of the ten sets he has played in the tournament. John Isner will be able to defend on Sunday in the final the title conquered in the Miami Open last year. The 33-year-old American and ninth in the world stopped the great revelation of the tournament and it could be said that of this year, the Canadian Felix Auger-Aliassime (18 years and 57th). He did it, of course, in two playoffs: 7-6 (3) and 7-6 (4) in 1h: 54; and with 21 aces. Thus, Isner is planted in the match for the trophy having won in the tie-break nine of the ten sets he has played. It arrived at Masters 1.000 of Florida with a balance of 7-10 in that luck during 2019 and in this week and a half it has not failed: 9-0 for an annual total of 16-10. Amazing. Now he is expecting a great rival and in great form: Federer, which beat without problems to Shapovalov. A Auger-Aliassime, he could not be reproached, although he is not Nadal and maybe he could have the pressure to see himself so close to the end of a great tournament. He had a break advantage in each set and did not know how to keep it when he came out to win on both occasions. 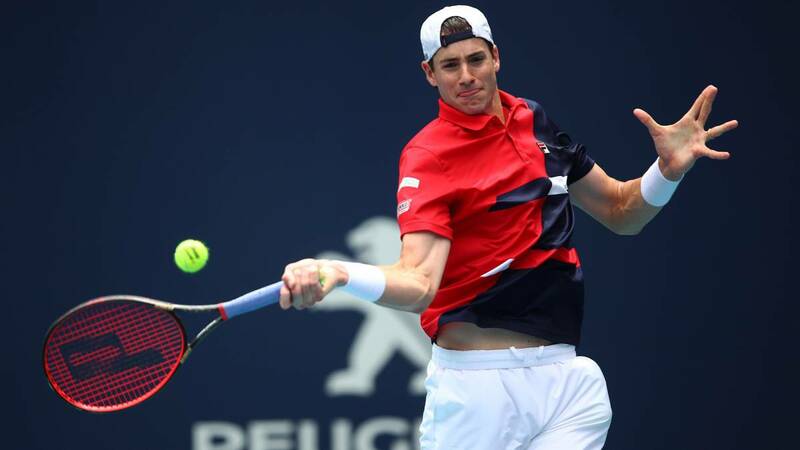 Isner, a giant (2.08) with very good hand, control of his power (23 unforced errors) and more resources than usually have the players of his size, took a step forward at the right time to bring the partial to those tiebreakers in which it performs wonderfully. In its first services it takes an average of 212 km / h and in the tie-breaks it is able to increase that speed by almost five kilometers. This is how he becomes a tough opponent to beat after a 6-6. Auger is defeated, with the lesson learned from how hard it is to face an experienced top-10, but with a very high head and the conviction that he can Do great things in tennis if you do not lose it. This season he has already played the final of Río, the rooms of Sao Paulo and the semifinals of Miami. He leaves the Dolphins stadium as 33rd in the ranking, having been the youngest semifinalist of the 35-year history of the tournament. All that from the previous and after winning seven of his eight games and with 21 games won to the rest in the final table. Numbers and achievements that make him an exciting tennis player. Isner has not lost a set and has 98 aces, with those nerves of steel that make him the king of the tiebreaker.